A shark attack victim in South Africa – one of the main locations for cage diving with sharks – has called for a moratorium on cage shark diving activity and chumming, concerned it has lead to an increase in shark attacks. The community also feels it is an unnecessary activity of which the ecological implications are largely unknown while others agree that the practice shows no respect for these endangered species. State shark researcher Greg Skomal said chumming is highly controversial with some scientists worrying that the sharks could start associating humans with food. That’s an extremely dangerous association when public swimming beaches are just a few miles away. 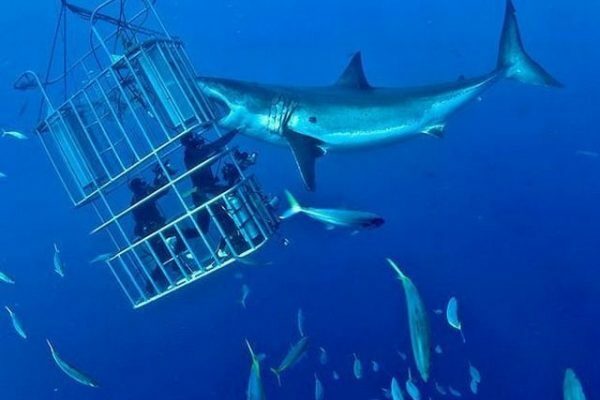 In mid 2012 the West Australian government took pre-emptivemeasures to ban shark cage diving operations after four fatal shark attacks in the region. This after heated debate, both in Australia and SA, about the link between attacks and chumming, which is used to attract sharks to the boats. Some local shark cage diving operators blasted the move, while a marine biologist said various studies had not proved a link between chumming and shark attacks. West Australian Fisheries Minister Norman Moore said he did not want tourist activities set up that would attract sharks and change their normal behaviour. Research done by the Commonwealth Scientific and Industrial Research Organisation (CSIRO) at shark cage diving sites in South Australia had found that chumming kept sharks in an area for longer, but did not prove a link between chumming and attacks on humans. Norman acknowledged that the study did not determine the long-term effects on shark behaviour, but said he would prefer not to take risks until more was known. Which, as far as we are concerned, is the logical response.